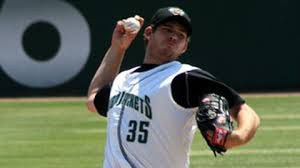 Right-handed pitcher Joe Biagini was picked up in the Rule 5 draft from the Giants organization. He pitched for Double-A Richmond in 2015. He stuck out 84 and walked 34 in just over 130 innings pitched.